In each minute of a stroke, your brain loses an estimated 1.9 million cells. Each hour a stroke goes untreated ages your brain the equivalent of three and a half years. 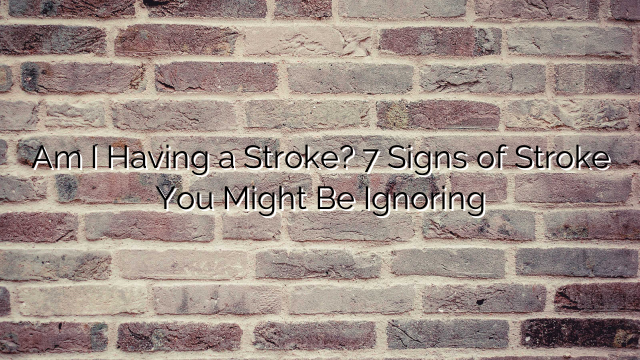 The longer a stroke lasts or a patient doesn’t receive treatment, the greater chance of lingering speech difficulties, memory loss, or behavioural changes. The earlier a stroke is caught, the better the treatment options, which can minimize damage and improve the odds of a fuller recovery. “Stroke is scary. Denial is the biggest factor in delaying treatment. When I ask stroke patients in the ER why they waited to call 911, the most common response is that they wanted to see if it would go away,” says Carolyn Brockington, MD, director of the Mount Sinai Stroke Center in New York City.